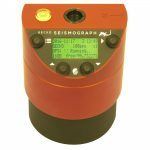 Seismologists from the SRC have been heavily involved in the development of the latest generation of seismographs and accelerographs that are manufactured in Australia by ESS Earth Sciences in Melbourne. 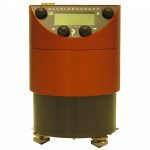 Performance and reliability are a fundamental priority for this type of instrumentation, but real world usability was high on the list for the Gecko. 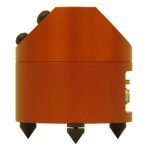 Who better than a team of field seismologists and data analysts to contribute to this aspect of instrument design? The latest Gecko firmware can be found here. Gecko Prism: a high-sensitivity velocity sensor with wide frequency band for detecting low frequencies from very distant (global) earthquakes as well as for higher frequency local earthquakes. 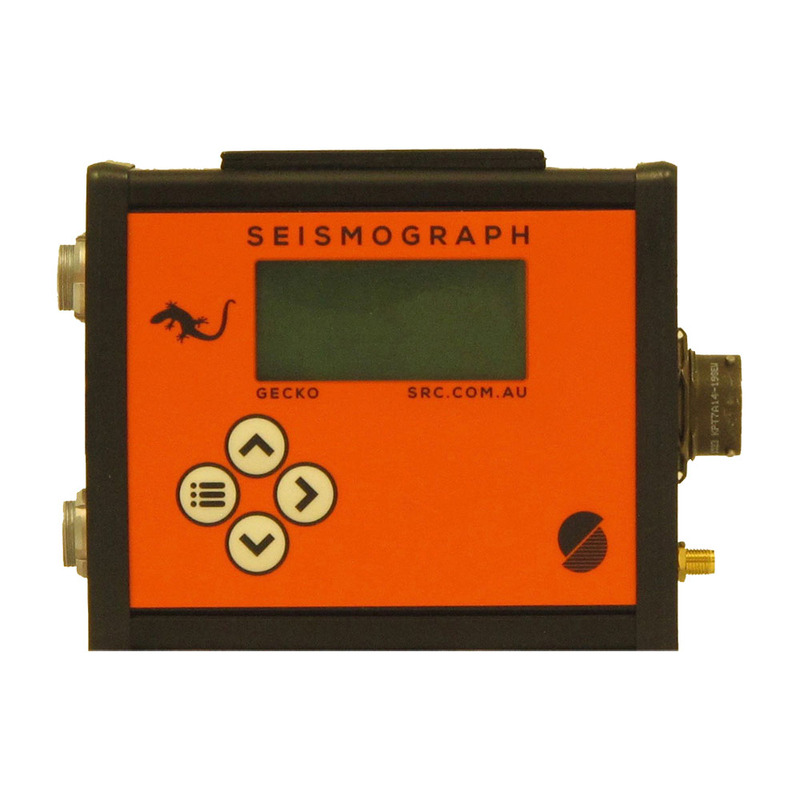 The Gecko is supremely simple to use in the field. With its in-built display and keypad it can be completely configured without the need to connect a laptop or use a mobile device via Bluetooth or WiFi – your user interface is always there, ready to go. Within seconds of applying power, the Gecko is recording data continuously to the removable SD card, and it will continue to do so, trimming away the oldest data as the 32GB storage approaches capacity. 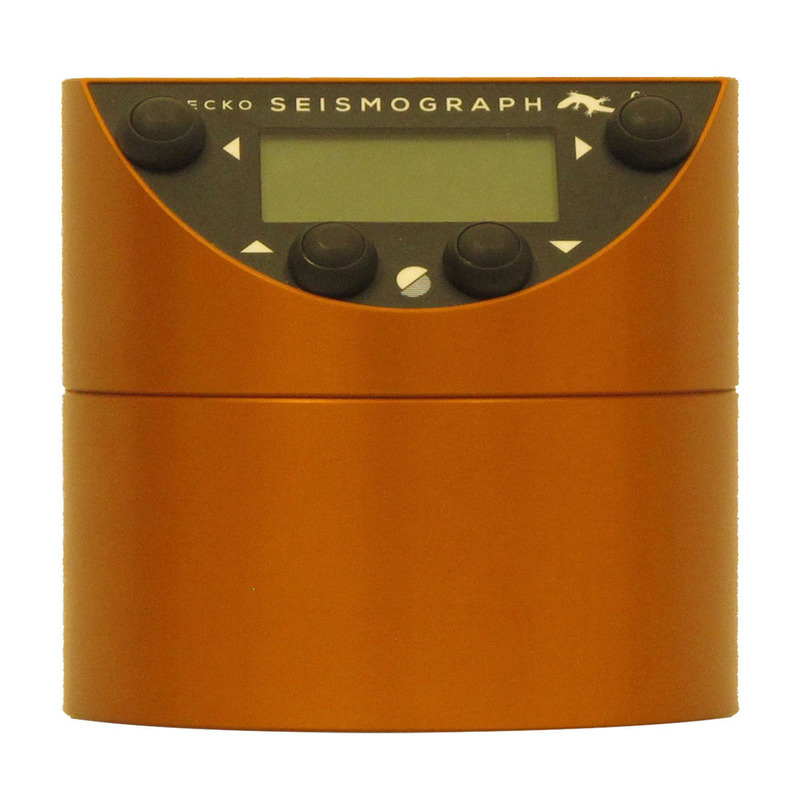 It stores data in the most common earthquake data format, MiniSEED, and adds companion files so that our Waves viewing software displays corrected ground motion values, not just raw recorder counts. 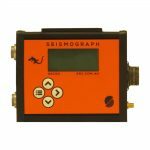 With just four buttons you can fully configure the Gecko: change station codes, set up triggering, configure telemetry, and much more. 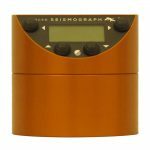 This is by far the easiest to use professional seismograph available today. 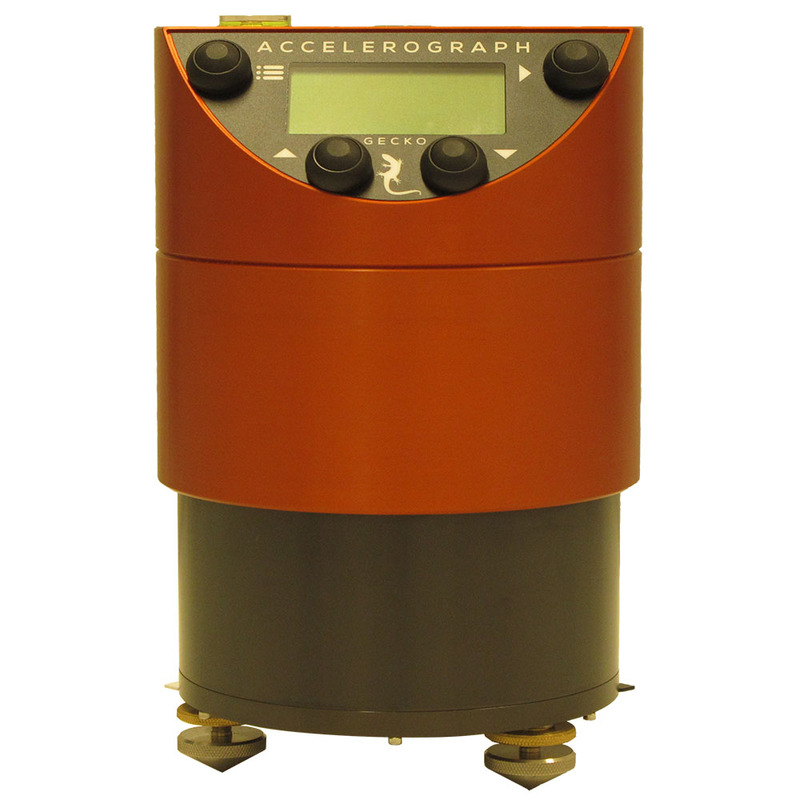 The Gecko is Australian designed and built, and competitively priced in the professional seismograph market. Download the Gecko data sheet, view the seismic product range at ESS Earth Sciences, or contact us for more information.